Sometimes, I manage to make a meal so delicious that I want to shout it from the rooftops. I'm tempted to call those closest to me just to describe it, just to try to get them to understand how desperately they need to make it too. It's hard, over the phone, or on gchat, or through e-mail, to really get my point across. But I'm hoping it will be easier here. And the reason this is a true winner, something as special as it is, is because not only will the flavor wake you right up out of your winter grays, but it's actually healthy. This is not the kind of thing that's satisfying because it's forbidden. It's not about reveling in the momentary pleasure of truly indulging (and of course, there is a place for those more intense encounters in every diet). Instead, it's the kind of thing you can invite back again and again, knowing it will always serve you well, and leave you feeling nourished and light and thrilled. This, my dears, is the kind of reciprocal relationship - fun and exciting and healthy - that we always dream of finding. I wish all of my meals could be like this one. First, the Steamed White Fish with Fennel and Lime (slightly renamed by me) from Jill Norman's Winter Food. This is not the shoe leather-dry baked fish you might remember from your childhood or the occasional all you can eat buffet. It is succulent. Succulent because it's juicy, flavorful and melt in the moth. The kind of thing that might run down your chin if given a chance. And all of this without a moment spent basting. Pure magic. Norman makes the recipe with a whole sea bass, but if you're even kind of pinching pennies, tilapia fillets will serve you perfectly well. And tomorrow, I'll give you the yin to this yang, the Beatrice to this Dante, the Angelina to today's Brad: Orange and Apricot Couscous. On a large piece of tin foil, spread 1 tablespoon olive oil. Place the fish filets on the oiled foil, making sure there's enough left on the sides to make a package. Mix the fennel, zest, red pepper flakes and a pinch of salt together. Make several shallow slits in the fish fillets, and spread the fennel mixture over the top. Pour the lime juice and the remaining 1 tablespoon oil over the fish. 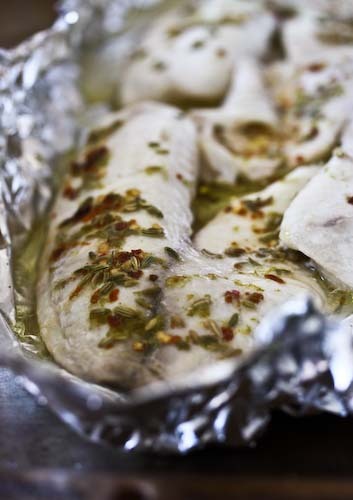 Wrap up the fish and place on a baking sheet, then into an oven preheated to 350. 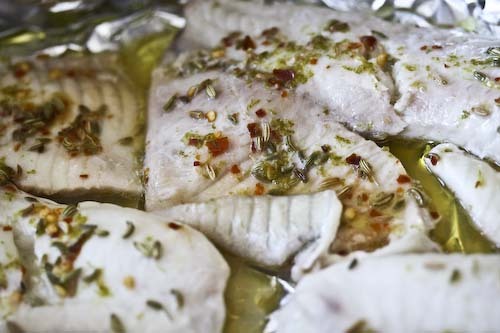 Bake for 25 minutes, then remove the fish, uncover, and return to the oven for another 5 minutes, or until the fish is cooked through and flakes when cut with a fork. If the fish is done after the first 25 minutes, you don't need to return it to the oven uncovered. Serve and revel. * Any flakey white fish will do, like tilapia, cod etc. * If you would like to share the love and feed this to guests, you can prep the fish a bit early, wrap in the tin foil and refrigerate. Then just slide the package onto a baking sheet and pop it in the oven. Love fish very much, all of this ingredients you put for the fish are really good. Fennel seeds, lime, and pepper flakes just perfect! This looks great, I am a huge fennel fan. In fact, I have some fennel pollen in my pantry, I bet that would work really well in lieu of the fennel seeds. This looks terrific. I can not wait to see the couscous. The flavorings for the fish sound melodious together.. I have been meaning to pick up tilapia. I love that this healthy dish is so full of amazing flavors. 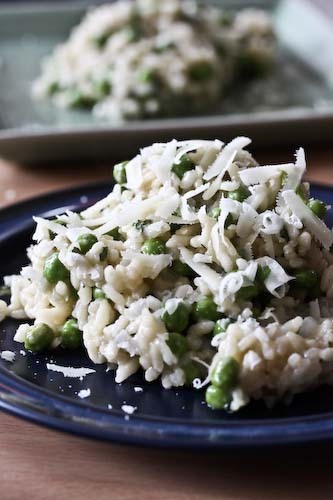 this looks tasty and easy to prepare. winter foods? seems more like summer food to me.